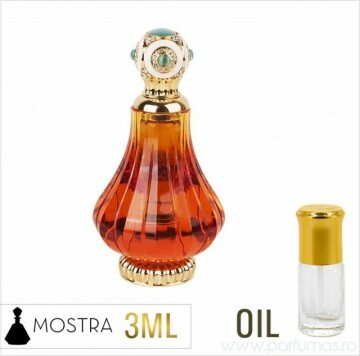 Parfum unisex condimentat, cu note citrice, paciuli, ambra si lemn de santal. Sticla este prevazuta cu sistem roll-on. Omry Due is the kind of fragrance that becomes synonymous with you. It can be subtle and lively in equal measure, depending on the setting you choose to wear it in. It is an awesome blend of woody and spicy notes, each lending versatility to the overall fragrance. Packed into an intricately carved bottle with a bejeweled cap, Omry Due certainly deserves its place in every inspired perfume wardrobe!